community coffee bold k cup Archives | Food blog! Top 3 of the Most bold flavor k cup on the market are found on the list below. Whether you are looking for an afternoon pick me up or a good morning wake me up you are sure to find in the fantastic flavors of the dark roasted coffees below. 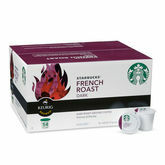 1st place: Described as the boldest and darkest of all of their coffee, Starbucks French Roast K-Cup, takes number 1 spot for coffee pod drinkers looking for the extra extra bold flavors and aromas. 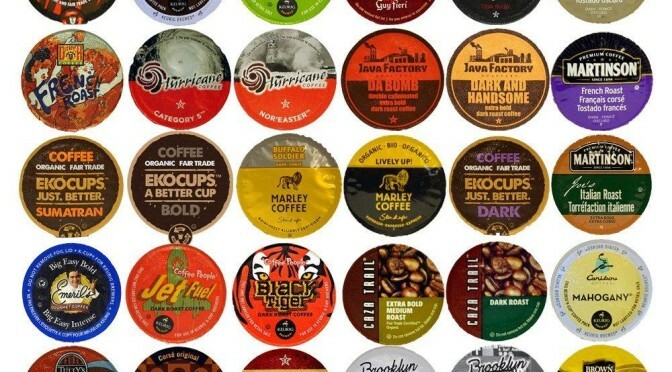 Insert 1 of these non reusable pods into your Keurig for your morning burst of caffeine energy! 2nd place: There is no doubt that Keurig brand makes a tasty coffee makers, but what about coffee? Well, you are in luck the huge coffee brand has teamed up with Tully’s to make a sensational deep French Roast Extra Bold Coffee that is sure to find its dark roast roots into your heart. 3rd place: So you are not too fond of the major Starbucks brand coffee and you still are looking for something a little better than same old pods day in and day our well taking our third place spot is Community coffee. 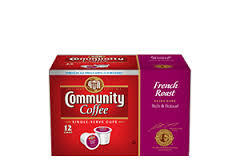 Community coffee has declared French Roast 2.0 k cup as their boldest and darkest roast to date bringing home all those deep rich aromas that the most bold cup of coffee should bring to your morning!